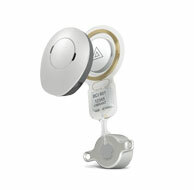 The latest cochlear implant system from MED-EL. 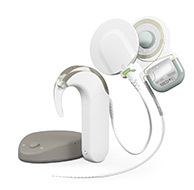 For individuals with severe to profound sensorineural hearing loss. Electric Acoustic Stimulation in the 3rd generation. 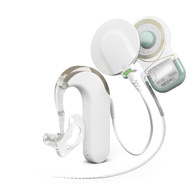 An ideal solution for individuals with partial deafness. The world's first active bone conduction implant system for individuals 12 years and above with mixed and conductive hearing loss or single-sided deafness. A novel hearing system revolutionizing the concept of bone conduction for individuals with conductive hearing loss or single-sided deafness. To be referred to a hearing implant center, or for more information about hearing implant systems from MED-EL, please contact us directly. Find your local area representative for more information.